Paisley print is just about every where at the moment and is a really fresh and intricate trend/pattern which is being continually used in pieces into the winter season!! 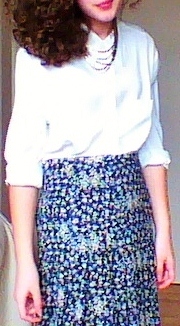 In the Asos Summer sales I bought this wonderful paisley print blue, green and pink shirt/kimono which I adore!! Not only have I been wanting a kimono for ages, I can’t get enough of paisley print and I love the colour combinations in my shirt!! 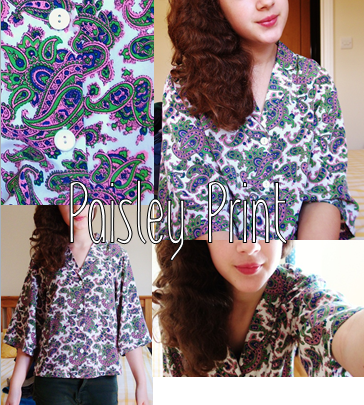 So are you a fan of paisley print and if so how will you incorporate it into your new winter wardrobe? I got back my GCSE module results today and I am overall happy with the result but just incase it wasn’t too good I did an Asos order so I could have some retail therapy to relieve the shock! I ordered a few things mainly from the Sale but I have settled to keep these 3 gorgeous pieces!! 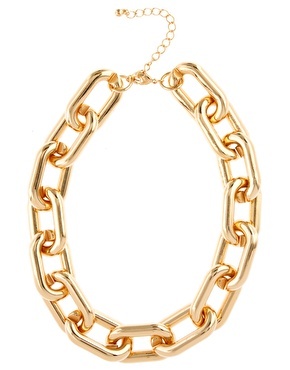 The first item is something I have been searching for what seems like years and it is this incredible gold chunky open link chain necklace and I absolutely adore it!! The second purchase is this wonderful floaty v-neck paisley print shirt for just £10.50 and it also works as a kimono style jacket because of its wide sleeves! The last item is these very glitsy collar tip pins with consists of 2 rainbow jewels with a gold chain inter-linking them- all you do is pin each one onto a collar and it looks sensational!! I hope you like these purchases and they will certainly be featuring in some up-coming looks! !- Enjoy! !